In line with quality management standardization, lummax sets up quality management system in accordance with ISO9001:2008 international quality management system. 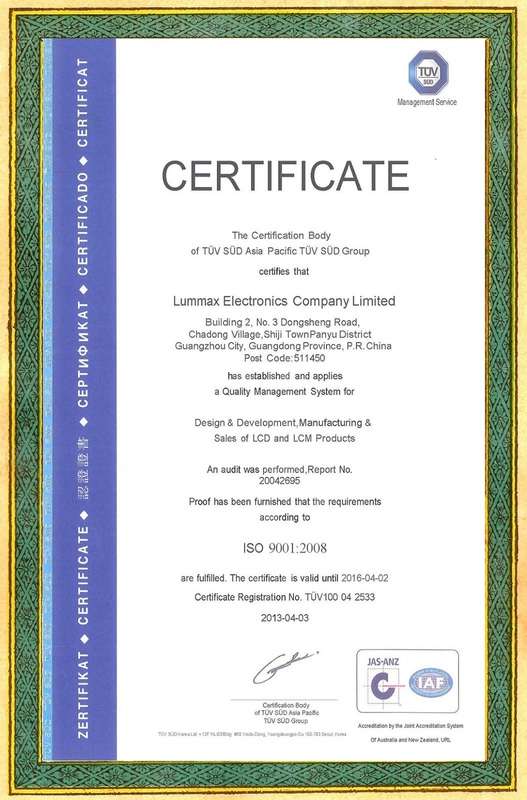 In January 2005, Lummax passed the TUV (SUD) certification and obtained the ISO9001:2000 certificate. In April, 2013, we passed the TUV (SUD) certification of ISO9001:2008.